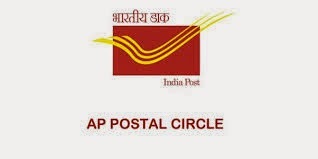 Department of Posts, AP Circle invited application for recruitment to 105 posts of Postal Assistant, Postman and Multi tasking Staff under sports quota. The candidates eligible for the post can apply through prescribed format before 19 January 2015. Educational Qualification Candidate must have passed matriculation. More details in this regard, according to each of the posts can be found in the detailed advertisement. Selection Procedure Candidates will be selected on the basis of their educational and sports qualification. How to Apply: Interested and eligible candidates are required to send the duly filled application after downloading from the website at www.appost.in. Applications must be super scribed as APPLICATION FOR THE POST OF POSTAL/SORTING ASSISTANT/ POSTMAN / MTS IN A.P. POSTAL CIRCLE UNDER SPORTS QUOTA and sent to Chief Postmaster General (Rectt. & Wlf. Section) A.P. Circle, Dak Sadan, Hyderabad-500001.